Ysearchservice is not a search tool or even a reliable search assistant. It is just an unreliable ad-supported program that was created and released by SuperWeb LLC. The suspicious program is a clone of Magic Ball, Product Deals, Insider Deals, and hundreds of other ad-supported programs that must be deleted from any infected computers immediately. Do you need to remove Ysearchservice? If you care about your virtual security, you will remove this adware right away. 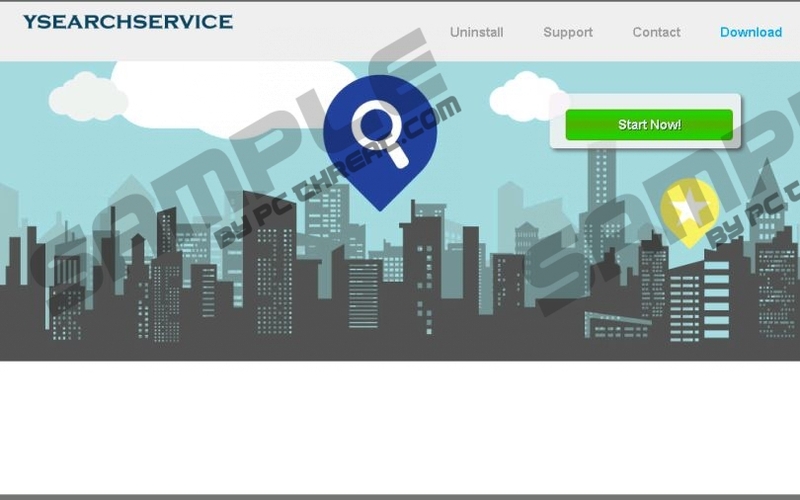 How did you download Ysearchservice on your PC? We know that you have not installed it from the official site ysearchservice.com, since the site does not work. Have you acquired this adware packaged along with third-party programs that also require removal? Ysearchservice is usually spread by unreliable installers that bundle a bunch of malicious programs together. This means that, even if you delete Ysearchservice successfully, your operating system might remain very vulnerable. The infections installed alongside adware could steal your virtual identity and even download other infections. Even though the infections installed together with Ysearchservice require attention, you mustn’t underestimate the risks associated with the ad-supported program itself. Failure to remove this adware in time will result in the appearance of "Ads by ysearchservice" or "Provided by ysearchservice" ads. Interaction with these advertisements is dangerous, because you cannot know what will happen if you click on them. For example, you could activate malware installers without even knowing it! Do not make the mistake of thinking that Ysearchservice is not a real security threat whose removal does not require urgent removal. Ysearchservice is a threat, and you need to delete it ASAP. Right now it is most important that you construct the right removal plan. If you are an expert who has deleted plenty of malicious infections in the past, you might be able to delete Ysearchservice and the associated threats manually. Of course, this does not mean that you shouldn’t install security software to protect your Windows operating system in the future. What should you do if you have no experience removing malware from your PC? You can try to remove malicious infections yourself, or you can bring your computer to a professional whose services are likely to cost you a fortune. Luckily, a reliable automatic malware removal tool SpyHunter can both remove Ysearchservice (and other kinds of malware) and protect your operating system. Have you decided to delete Ysearchservice manually? Even if you have, automatic malware removal software should be installed to protect your PC from here on. Go to Change or Remove Programs and Remove Ysearchservice. Move the cursor to the left of the Taskbar and click the Windows button. Open the Control Panel menu and click Uninstall a program (under Programs). Right-click the application you have chosen to delete and select Uninstall. Launch RUN (tap Win+R), type in Control Panel, and click OK.
Go to Programs and click Uninstall a program (use Search if you cannot find it). Quick & tested solution for Ysearchservice removal.